There’s apparently no major news to report at this point, but Clarence Rashada, president of the Metal Trades Council at the Pantex warhead assembly/disassembly plant, said talks with the government’s contractor are continuing. “We’re just continuing to negotiate at the table,” Rashada said this morning. The existing labor contract expired at Pantex in February and talks with Consolidated Nuclear Security have continued since then. The Metal Trades Council represents about 1,200 hourly workers at Pantex. Things have been relatively quiet in recent weeks, following a brief period when union officials and rank-and-file workers at the Texas plant were openly upset about some issues — particularly health benefits — and with the way negotiations were progressing. Because of the extended negotiations at Pantex, the opening of talks at Y-12 were postponed for a couple of months. 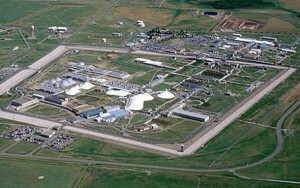 Consolidated Nuclear Security, a partnership led by Bechtel, manages both Y-12 and Pantex under the same contract with the National Nuclear Security Administration. This entry was posted in CNS, NNSA, nuclear, Pantex, Y-12 on May 28, 2015 by Frank Munger.